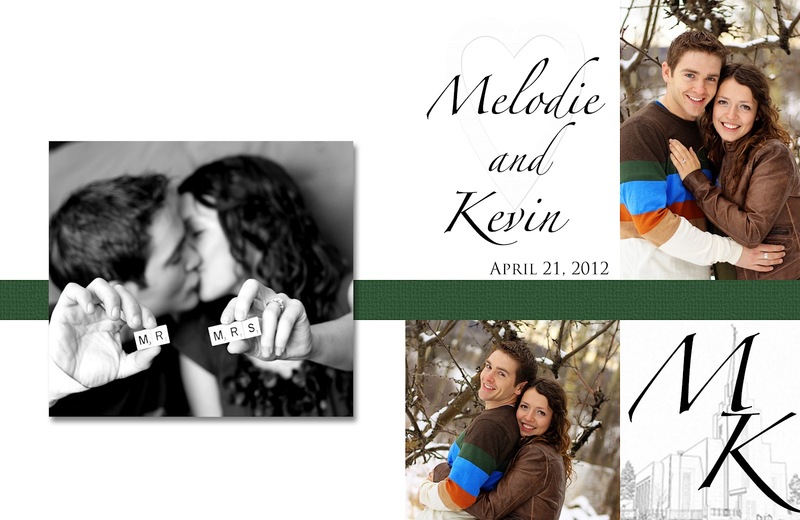 Just realized that I've never posted Kevin and Melodie's wedding invitations! I think it's because I wanted people to get it in the mail first before they saw it on my blog! I had fun designing these but I learned that I will never print it off myself again. It was so much work, took so much ink and I wrecked quite a few of them! So I'm okay with the designing but no more printing! Plus I don't think I will add full colour to the middle again, as much as I like it, it really takes too much ink. The font here is Zapfino.